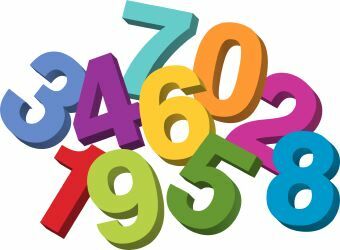 Numbers are part of our day by day life, from reading the watch to most complicated calculation that we do for our jobs. Numeric tests help you to understand how well you understand numbers. Question 1 from 10: What is the next number in series: 1, 4, 3, 6, 5, ? Question 2 from 10: What is next in series: 2, 4, 6, 8, 10, ? Question 5 from 10: What's next in series: 40, 30, 80, 70, 120, ? Question 6 from 10: What is the next number: 3, 3, 6, 9, 15, ? Question 7 from 10: Which number is next: 4, 6, 10, 16, 24, ? Question 8 from 10: What number is next: 0, 6, 6, 12, 18, ? Question 9 from 10: What's next in series: 3, 7, 15, 31, 63, ? Question 10 from 10: What number come next: 2, 5, 3, 6, 4, ?